Marxist ideas have played a role in film for more than 100 years, since Marx and his ideas are not just to be found in Germany and the world during the bicentennial year 2018. The self-test "How much Marx is in me?" provides facts for your opinion in this anniversary year. "Marx wouldn't have liked the GDR"
Who circulated Marxist ideas during Marx's lifetime? And what would Marx have thought of the GDR? These and other questions, historian Christina Morina discusses with Philip Banse. "You can't have salvation with Marx"
Is man able to change himself and society? One of many questions that Philip Banse and dramaturg Carl Hegemann discuss in their conversation. How will our society and our working life change with digitization? What does Marx say about this and does the unconditional basic income have something to do with it? Sociologist Stephan Lessenich in conversation with Philip Banse. 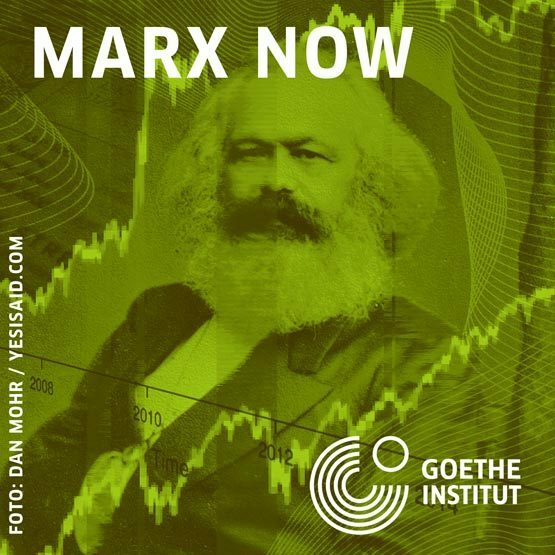 Self-test: How much Marx is in me? What does people in Berlin think of Karl Marx? We asked Berliners what they spontaneously thought of Karl Marx. From shrugging of the shoulders to theoretical explanation, everything was there. For Karl Marx's 200th birthday, filmmaker Alexander Kluge has created a video art project: the Marx Triptych. The revolution will not be televised, but it will have a soundtrack. This playlist merges American leftist folk classics, contemporary German Marxist songs, and the latest protest music from black Americans and Puerto Ricans.